I have an addiction. Addicted to the green stuff, it’s a healthy one I promise. You know all the health benefits I mentioned a zillion times on my site. Yes, matcha green tea is a healthy addiction. So I jumped all giddily when I saw WA Café, featured in Timeout and it was pure luck I had to go to Ealing for a house party on a Saturday. 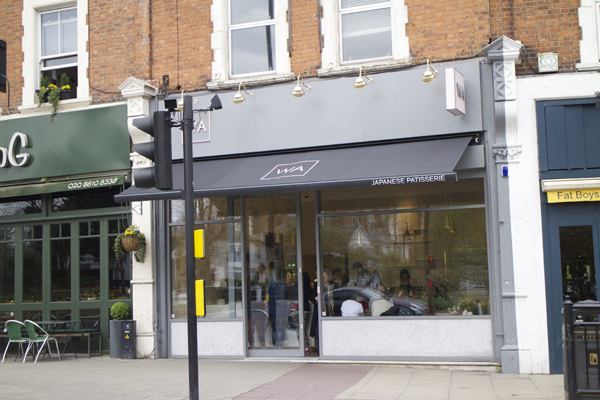 Ealing is a great place for eateries; take a walk across the park in Haven Green from the station. There are great connections going down to the area, from the rail and Central line, but it’s all way across London from where I am. It’s very rare for me to go the area. 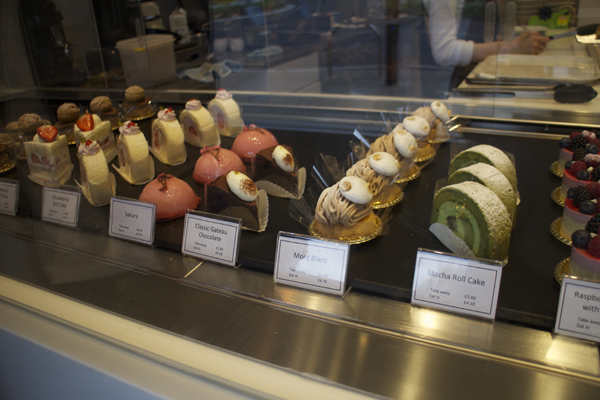 WA café is along the street from the station, modern with colourful rows of Japanese bread and pastries on display. The café was very busy with people coming in and out; the struggle was to find a free table. Besides my beloved matcha green tea latte, I ordered strawberry shortcake to eat in. 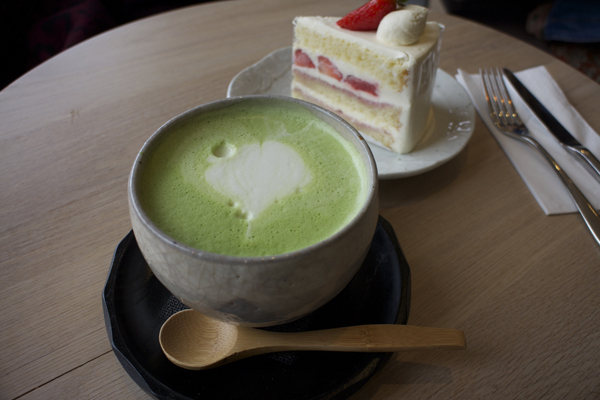 Matcha green latte is served in authentic Japanese cookware, clay cup with no handles and a wooden teaspoon. Of course, the strawberry shortcake delivered. Light fluffy pillow cake decadent sponge layers, lightly whipped cream finished with scrummy fresh strawberries. 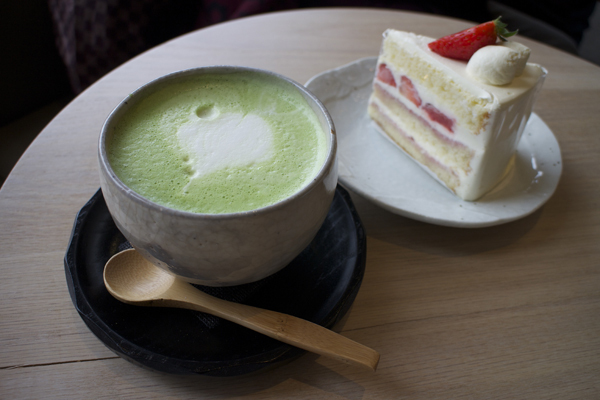 Both matcha and cake made me feel at peace, unwinding on a Sunday. Decompress and switch off from the world, until I had to hurry and run to my friend’s house. no way lily! yes you must try to sit in at least once.